*Why so many? Read more about the novel's unusual architecture in the Reader's Guide. See also my guest-blog post for the Book Drunkard Blog, "Top 5 of the Tussie-Mussie"
Emperor of Mexico; executed 1824. Empress of Mexico; d. Philadelphia, 1861. Eldest son of the Emperor Iturbide. Daughter of the Emperor Iturbide; aunt, godmother, and after September 1865, governess of Prince Agustín. A diplomat, second son of the Emperor Iturbide and father of Agustín de Iturbide y Green. Wife of don Angel de Iturbide and mother of Agustín de Iturbide y Green. Grandson of the Emperor Iturbide, an orphan, also "adopted" by the Emperor Maximilian in September 1865. Alice Green de Iturbide's mother. She inherited Rosedale, the country estate in Washington, D.C. founded by her father, General Uriah Forrest. Alice Green de Iturbide's father, who saw action in Tripoli with Decatur. U.S. Naval officer, Hero of the Barbary Wars and the War of 1812. The Green's cook (a slave). Illegitimate son of Morelos; a protegé of Santa Anna's; Ambassador to the United States; later one of the Mexican delegation to go to Trieste to formally invite Maximilian to the throne; after the French occupation of Mexico City, chief executive of the Regency; in 1866, Mexico's ambassador to France. General Almonte's wife, later a lady of honor to Empress Carlota. The Czar's Ambassador to Washington. U.S. 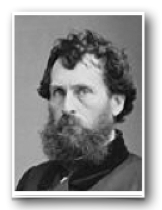 Senator for Ohio; later U.S. Minister to Mexico. Princess of Belgium; Archduchess of Austria; Empress of Mexico. Kaiser or Emperor of Austria, Maximilian's older brother. Archduchess of Austria; Maximilian's mother. Archduke of Austria; Maximilian's younger brother. Oldest daughter of Mr and Mrs Bigelow. American dentist; confidant to both Mr Bigelow and Louis Napoleon. Paris correspondent for the New York Herald. French Minister of Foreign Affairs. Mexican lady-in-waiting to the Empress Carlota in Paris. Descendants of Joaquin Murat and Napoleon Bonaparte's sister (see Joaquin Murat, below). Archduchess of Austria; Queen of France;executed 1793. Emperor of France, uncle of Louis Napoleon. Empress of France, first wife of Napoleon Bonaparte. Archduchess of Austria, second wife of Napoleon Bonaparte. Brother-in-law of Napoleon Bonaparte, and King of Naples; executed 1815. King of France; Charlotte's father; abdicated in 1848. Queen of England; Charlotte's first cousin; niece of King Leopold. Ex-Queen of France living in exile in Claremont; Charlotte's maternal grandmother. King of the Belgians; Charlotte's father; died December 1865. King of the Belgians; Charlotte's eldest brother. Purser of the Imperial Household. Mistress of the Imperial Household. Head of the Palatine Guard. Maximilian's naturalist; a Capuchin friar. Belgian advisor to Maximilian and Charlotte. (Blasio was the author of a splendid memoir, Maximiliano íntimo. German priest; advisor to Maximilian. Austrian volunteer assigned to the Palatine Guard. (Jacques Langlais), a financial expert sent by Louis Napoleon to oversee the Mexican finances. Mexican Minister of Foreign Affairs. Maximilian's aide de camp and later Consul General in Vienna; came to Mexico summer 1866. Maximilian's last doctor in Mexico; began work in September 1866. First nanny of Prince Agustín (after Lupe). Second nanny of Prince Agustín. Landlady of don Angel de Iturbide; widow of Manuel Gómez Pedraza, one of the Emperor Iturbide's closest friends. Mexican general and president 1832-33; died 1851. Kitchen maid and later nanny of Agustín de Iturbide y Green. A bandit, lately a Juárista guerrilla. Leader of the bandits in Río Frío. An American resident in Mexico City. 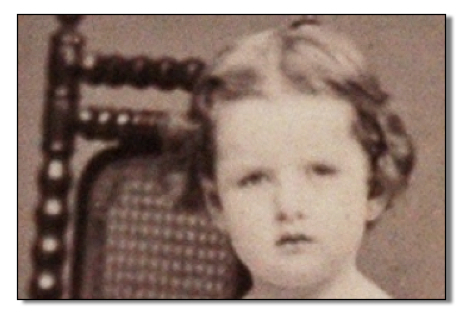 Daughter of Mrs York; a young girl. She later married, and as Sara Yorke Stevenson, wrote a classic memoir, Maximilian in Mexico. Read her fascinating biography on-line here. The richest man in Mexico. Neighbor of Doña Juliana de Gómez Pedraza. Wife of Prince zu Salm-Salm; an American from Vermont by way of Washington, D.C. Read her fascinating bio on-line here. She was not a circus-rider, as gossips claimed, but she was related to President Lincoln. There is ample dispute about her attempts to help Maximilian near the end of the Second Empire. Her version of the story does not match others's. Supreme Commander of the French Imperial Forces in Mexico. Niece of Doña Juliana de Gómez Pedraza; second wife of General Bazaine. General Bazaine's aide-de-camp. Author of the memoir L'Intervention Française au Mexique. Wife of Captain Blanchot; daughter of Mrs. Yorke. Wife of a French officer. Spanish ambassador to the Court of Mexico. Austrian ambassador to the Court of Mexico. 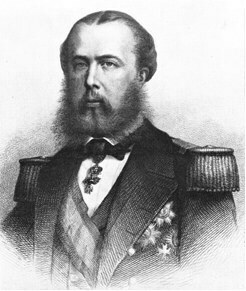 Officier d'ordonnance of the Count of Flanders and member of the party of Belgian envoys to the Court of Mexico in 1866. General in the Mexican Imperial Army. Mexican exile; leader of conservative party that brought Maximilian to Mexico. President of the Mexican Republic. 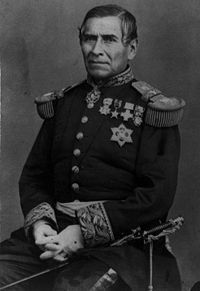 Leader of the rebellion that overthrew the emperor Iturbide; President of Mexico on eleven past occasions, including during the U.S.-Mexican War of 1848; in exile on St Thomas during most of the Second Empire. Mexican Empire's acting consul in Rome.